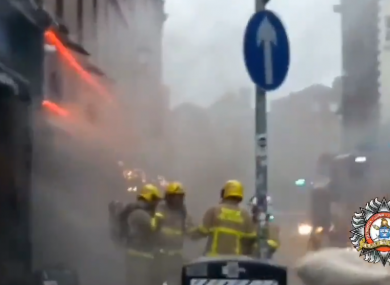 A SECTION OF Temple Bar in Dublin has been closed off this evening following a fire at a restaurant. The alarm was raised at around half five this evening at a premises on Asdill’s Row – just beside the Ha’penny Bridge. Dublin Fire Brigade said that it had sent three units to the scene and that everyone was accounted for and there were no injuries. Email “Section of Temple Bar closed off after fire at restaurant ”. Feedback on “Section of Temple Bar closed off after fire at restaurant ”.